Apple has activated a new revenue stream that could foster communities of digital content creators around the world like those already thriving in China. Apple’s newly published update to its App Store policies officially designates voluntary tipping via virtual currency as in-app purchases that Apple taxes 30 percent. By taking tipping out of the grey area, more app developers might institute digital tip jars as an alternative way to get creators paid without having to offer ad revenue sharing. 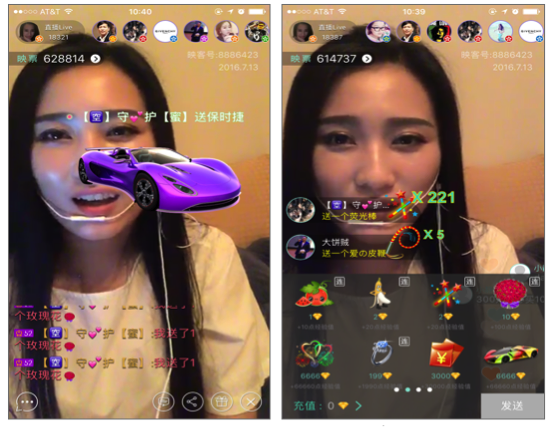 Chinese live-streaming video apps like Yinke and Yizhibo have long embraced tipping, allowing viewers to tip or give virtual gifts to the stars they watch in exchange for extra attention from the performer or just as a show of gratitude. American live-streaming apps like Facebook Live and Periscope don’t offer tipping; instead, Facebook has begun letting broadcasters show ads in their streams and keep 55 percent of the revenue. But last month, Apple cracked down on unofficial tipping, which sidestepped its 30 percent tax on in-app purchases by highlighting how the tips were donations rather than purchases. The Wall Street Journal reported Apple had told WeChat and other Chinese social apps to disable their tipping functions or be kicked out of the App Store. Apps may use in-app purchase currencies to enable customers to “tip” digital content providers in the app. This means developers can add tipping features without fearing repercussions from Apple, as long as they’re willing to give the giant 30 percent. The grey area had kept tipping out of some popular apps who sought to avoid any tension with Apple. Now app makers can offer and promote tipping features with confidence. Native iOS tipping functionality could make it difficult for third-party tipping platforms to take root, though it could also spark a new trend of micropayments that are smaller than the typical $1 in-app purchase. The developers will have to determine whether they themselves take a cut of the tips or pass the full 70 percent on to the content creators. Passing on 50 percent while taking a 20 percent cut could unlock paths to monetizing video where ads can be interruptive or tough to match with unpolished footage. On some platforms where 100 percent of the tips were passed through, creators might be a bit bitter about the change that will dock their earnings 30 percent. That’s a big deal for stars who can pull in hundreds or even thousands of dollars per stream. But the institutionalization and potential explosion in popularity of in-app tipping could grow the pie of donations. Thanks to tipping, musicians, comedians, artists, e-sports athletes and more risqué creators outside of China could be incentivized to make higher-quality digital content. And even if they don’t take a cut, platforms that adopt tipping could see users flock to consume it.